If you want to add fresh, seasonal touches to your home-cooked meals, consider planting your own garden. 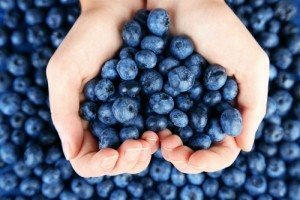 Blueberries are considered “superfoods” because they may lower your risk of cancer, obesity, diabetes and heart disease. They’re also fairly simple to grow and can be used in so many different meals and snacks—everything from smoothies and salads to salsa and chilled soup. They need acidic soil and full sun to flourish. When the conditions are right, they can produce the fruit for up to 20 years! Home-grown blueberries are typically ready for picking in late July to mid-August, yet you can eat them year-round. They’re one of the easiest fruits to freeze.